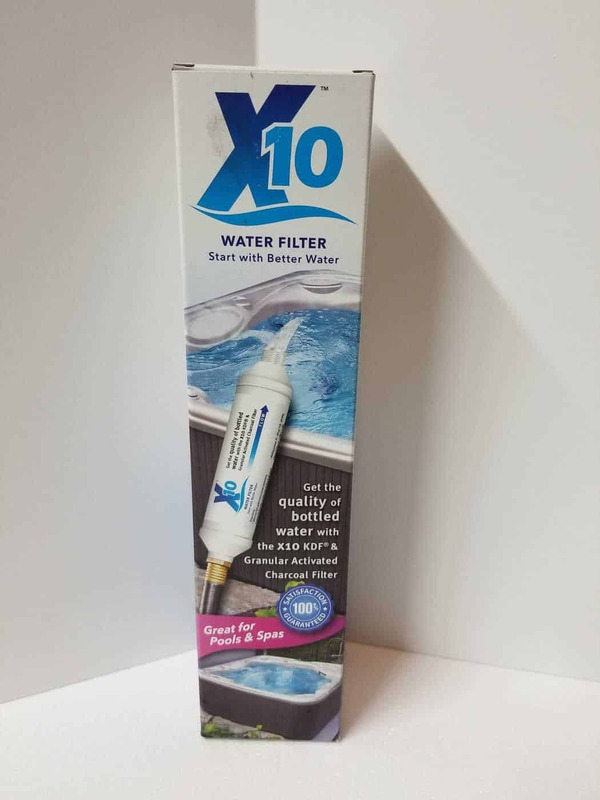 Connect the X10 Water Filter to a garden hose to fill spas, fountains, aquariums and more with fresh, clean water. Designed to get the quality of bottled water straight out of your hose hookup. 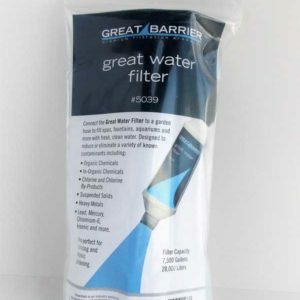 Spa Marvel X10 Pre-Filter Removes up to 99% of water contaminants, eliminating most water problems caused by metal, minerals, lime, calcium and volatile organic compounds. It has the highest grade of acid washed coconut shell carbon. Many competition filters use a less expensive bituminous (coal based) carbon. 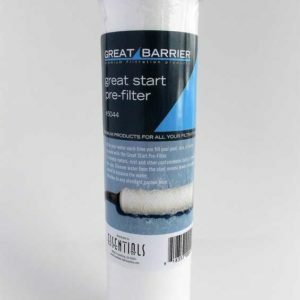 High titanium dioxide (whitening agent with strengthening characteristics) used in filter housing for stronger, more durable construction and excellent UV protection. Made in the USA! For less than 1 cent per gallon, the X10 water filter is good for up to 8,000 gallons and can be utilized in many ways: Pool and Spa Water – No need to use metal removers, the X10 will remove them for you! Washing cars, boats and RV’s – No more hard-water spotting. Koi Ponds and aquariums – Your fish will thank you! Drinking water for pets and livestock – Give your animals the best you can. Fountains, waterfalls and other attractions – eliminate scaling and equipment fatigue by removing contaminants from the source water The X10 Water Filter makes your current drinking water even better. *Do not use the X10 Water Filter where water is microbiologically unsafe.